The ability to sew has allowed me to make many unique items for me, my friends and my family. This week is a perfect example. 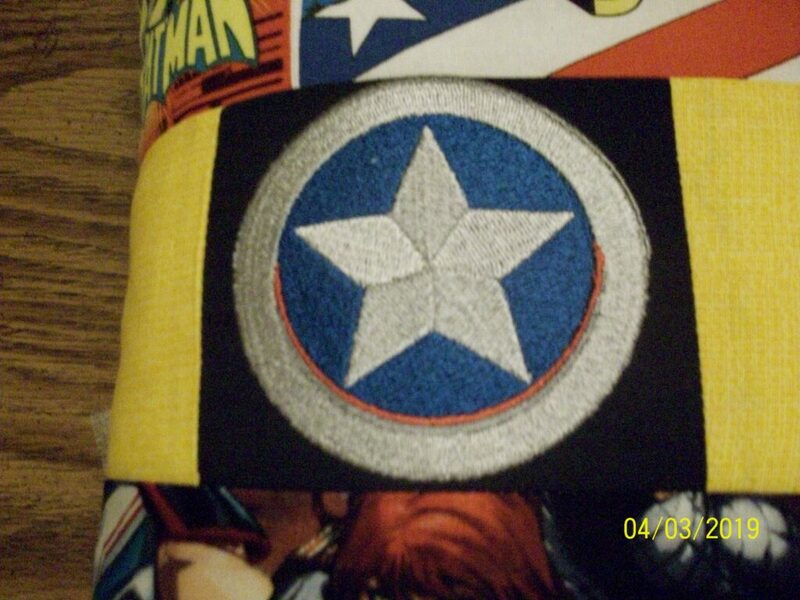 It is the birthday of my nephew’s son, Holden, who is turning five and loves super heroes. 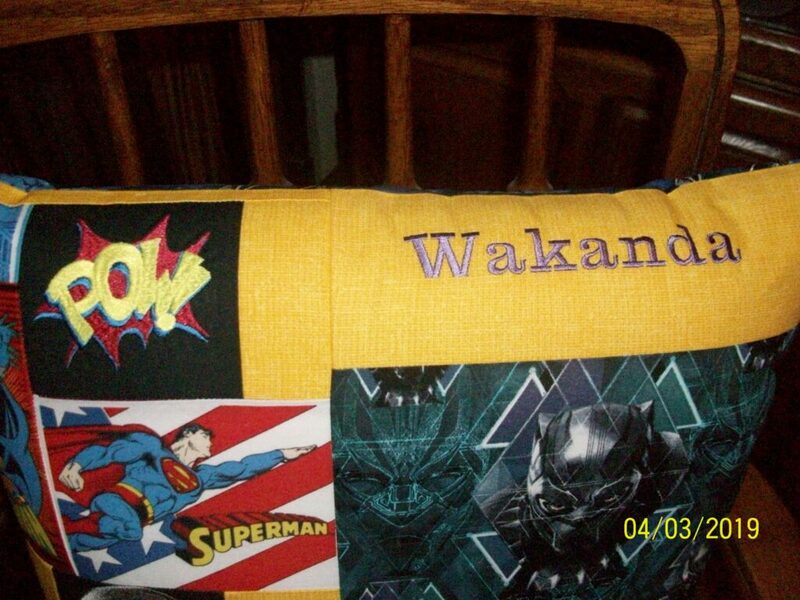 His gift request: please make him something that had all of his favorite super heroes on it. 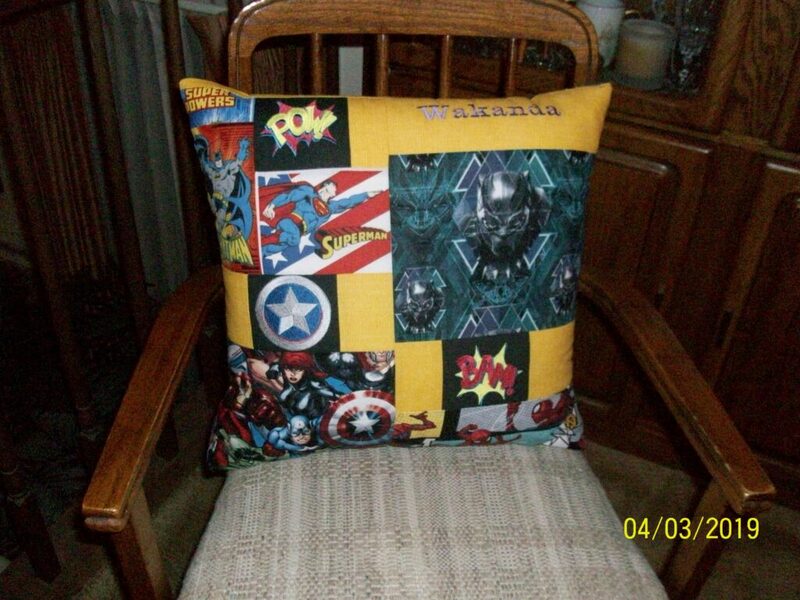 A quilt was a bit much for me since I knew this item would probably be “well loved”, so I decided on a pillow. 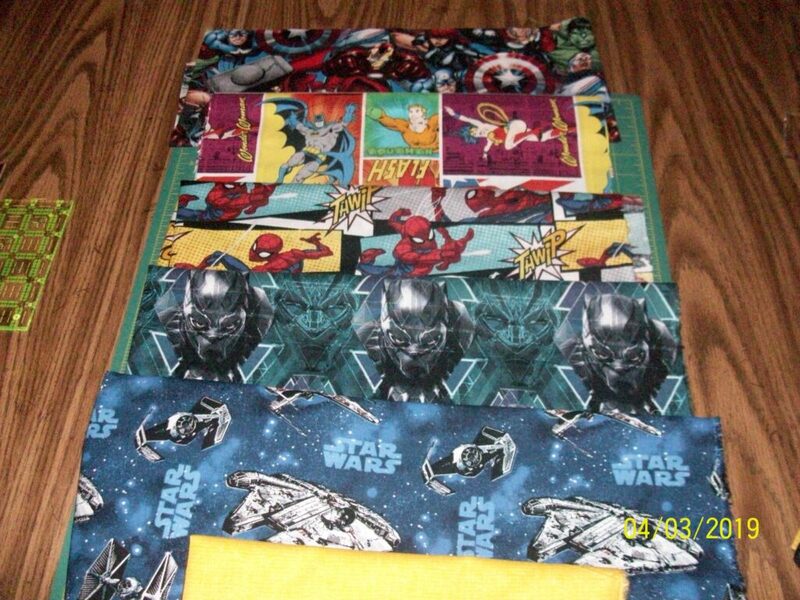 I had my list of super heroes in hand and went to find fabric. This was my color pallet. Oh my! Not colors I would call “usual” for one of my projects! I decided to use the yellow as my “pull it all together” color and I stitched out four embroideries to create some accents. My only guidelines: the top must finish piecing as a 19” x 19” top for my 18” x 18” pillow form and none of my seams could line up. 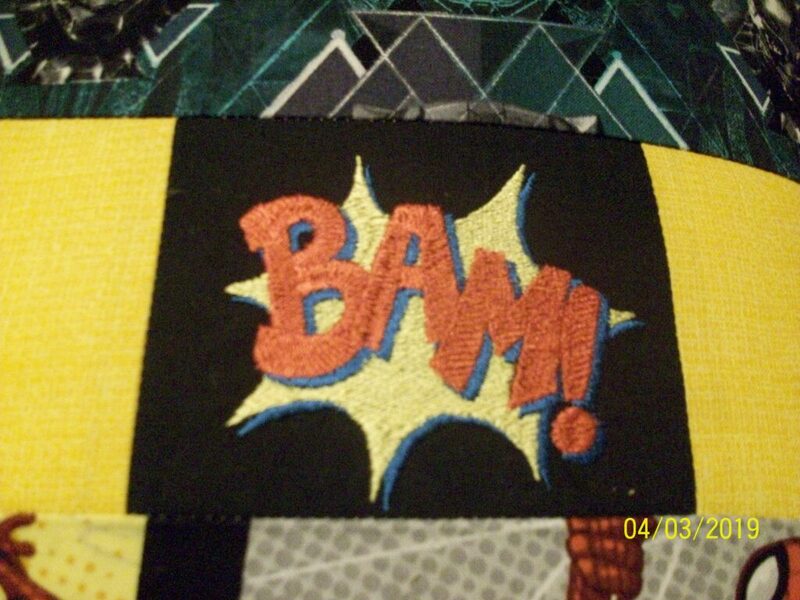 Most of the fabrics were printed so crooked that if my seams lined up your eye would go right to the places where the fabrics were printed so wonky! The pillow back was easy. 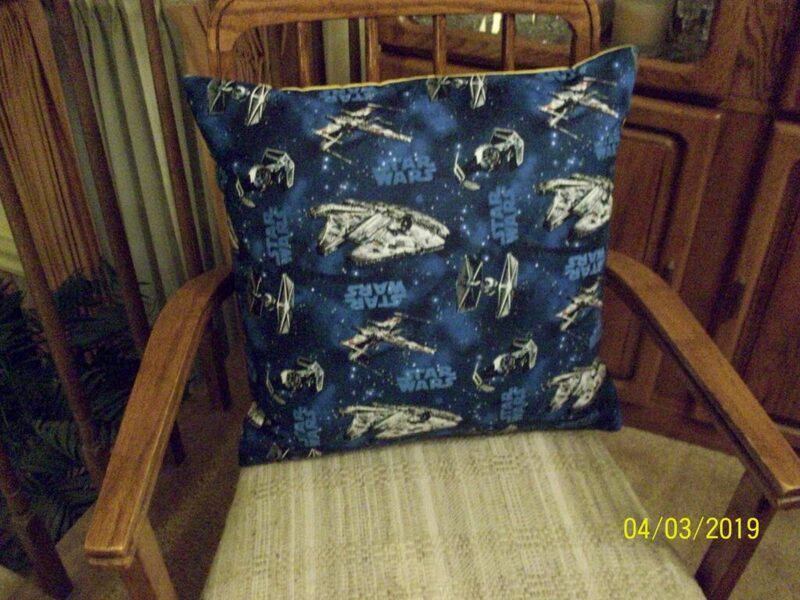 He wanted me to include something from Star Wars along with the super heroes: no piecing required! Talk about piecing as you go. I just kept measuring and cutting until I got to 19” x 19″. 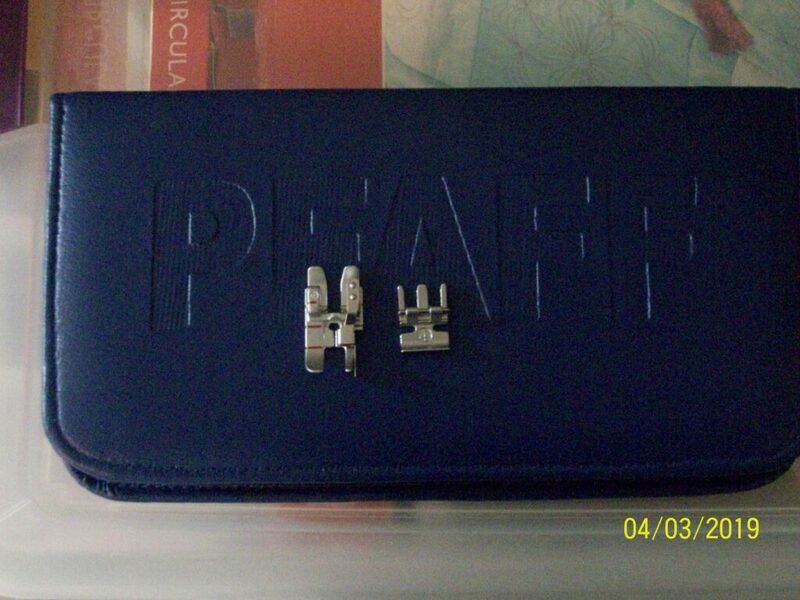 Now some of you know I am the proud new owner of a Pfaff Creative Icon. I got it in February and I am exploring all of the bells and whistles. I have owned Husqvarna Vikings since the early 1980’s, so I am sewing in some uncharted territory for me, especially since I have never taught the machine. I’m learning it just like all of our customers! Anyway, I found these two feet most helpful on this project: the zipper foot that came with the machine and the Perfect ¼” foot for IDT (an optional foot). 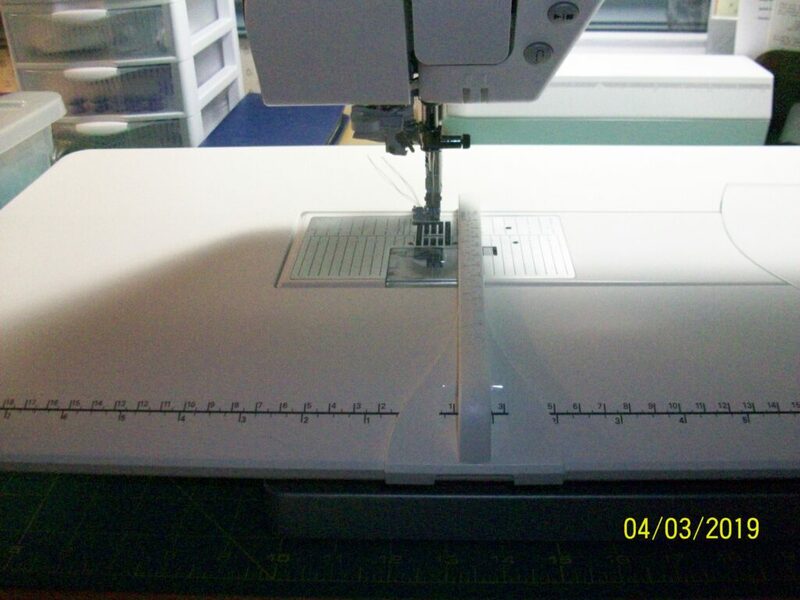 The Pfaff Perfect 1/4″ foot with guide and the zipper foot. The Perfect ¼” foot allowed me to create perfect ¼” and scant ¼” seams for piecing the pillow top. The opening is slightly oval and allows the needle position to move just a tad. I also found the optional Extension Table with Adjustable guide to be very helpful in keeping a ½” seam all the way around my pillow while providing extra support for my large fabric square. The guide slides so it can be used either to the left or the right of the needle.